With the official arrival of fall this week, it’s time for Teaneck, NJ homeowners to take a good look at their heating systems, which in is part of the country can often mean a boiler or similar type of heater. Boilers are efficient and reliable forms of technology, but they can still break down just like any other piece of equipment, especially if they’re older and have endured multiple winters. WHY IS MY BOILER IS RUMBLING? Here in Westwood, NJ, boilers are a common way of heating your home. An existing radiator system can cost a great deal to replace, especially if the boiler continues to work as it should. Noise form your boiler, such as rumbling or banging sounds, can often indicate a problem in need of repair. The causes can vary, but if your boiler is rumbling, it pays to consult a Westwood, NJ boiler repair expert. In some cases, that rumbling is merely a sign of “kettling,” caused by hard water in the boiler. The hard water can leave mineral deposits on the heat exchangers, and the mineral deposits can cause some of the water to be heated too much. This creates air bubbles which make noise when they collapse. Kettling is a sign of inefficient heating, so call a professional if you think this is the issue with your boiler. A banging noise could be an issue with your expansion tank. The expansion tank is supposed to protect your boiler system from excessive pressure. If the expansion tank isn’t regulating the pressure effectively, you might hear a banging noise when the pressure release valve opens. Banging could also be a problem with air in the pipes. Regardless of the cause, the situation is serious enough to merit a call to a professional. Most boiler system will shut off automatically when these problems get bad enough, but in the meantime, they will cost you wasted energy and higher monthly heating bills. In Westwood, NJ, boiler repairs can be handled by the experts at BZ Dependable Plumbing & Heating, Inc.. We can pinpoint the reasons your boiler is rumbling, and enact repairs right away. Give us a call to set up an appointment; you’ll be glad you did! Posted in Heating | Comments Off on WHY IS MY BOILER IS RUMBLING? BERGEN COUNTY BOILER FAQ: WHY IS MY BOILER NOT PRODUCING ENOUGH HEAT? Is the boiler in your Bergen County home not producing enough heat? There could be many reasons for this, and some might be a simple resolution, such as changing your thermostat settings. However, always check with a heating technician if you aren’t sure. Here are some potential reasons your boiler isn’t producing enough heat. One of the common reasons boilers stop providing enough heat is that there’s a clog in the pipes leading to the radiators or radiant flooring. For propane or oil models, you could be low on fuel. Check the owner’s manual for ways to tell if your oil is running low. Make sure the pilot light is on for gas furnaces. Always make sure that the emergency fuel switch hasn’t been turned off if there boiler doesn’t seem to be working at all. If it’s on but still not heating up your home adequately, there could be something wrong with the controls or thermostat. Also, check the fuse box for a tripped circuit breaker. If it is determined that your boiler has reached the end of its lifespan, we can offer a variety of replacement models to efficiently heat your entire home. For oil-fueled boilers, you may want to consider switching over to natural gas. Natural gas is a cost-effective and green fuel that can be used to heat your home and your hot water. Making this switch can provide many benefits, including saving space for the tanks and never worrying about running out of fuel. BZ Dependable is ready to handle all your Bergen County heating needs. We love helping customers get the right boiler system for their needs, so call any time for expert advice! Posted in Heating | Comments Off on BERGEN COUNTY BOILER FAQ: WHY IS MY BOILER NOT PRODUCING ENOUGH HEAT? If you heat your Tenafly home with a boiler system then you are already aware of the many benefits that a boiler has to offer. They provide even, consistent heating power in a very efficient manner. They are also very durable, boast long life spans and require little maintenance. This durability does not, however, make them impervious to occasional wear and tear or damages. If your boiler is in need of repair it is important that those repairs are made by a qualified professional in the timeliest manner possible. Sometimes this is more easily said than done. Even boiler operators with the best of intentions may inadvertently allow their boilers to incur unnecessary damage simply because they are not aware that their boilers need professional repair service. That is why it is so important to know the warning signs to look for. Here are some tips from the boiler experts at BZ Dependable to help you protect your boiler from unnecessary damages. If you notice the development of any cold spots throughout your home or other problems with heating consistency, you should call BZ Dependable immediately. Your boiler is likely in need of some repair service. The same is true if you recognize an increase in your home heating costs without any corresponding increase in heating usage. There could be a number of causes for this rise in heating costs, from inefficient insulation to leaky windows, but it is important to rule out the need for boiler repairs. Even any odd noises or odors that develop when you operate you boiler system may be indicative of a problem requiring professional repair service. Whatever the issue is it is important that it be dealt with immediately. It is also advisable to simply take a look at and around your boiler occasionally. While you should never attempt the maintenance or repair of your boiler yourself you may be able to spot any water beading on pipes, collecting on the floor or even escaping steam or air bubbles indicating damage to your boiler. Calling for repair service as soon as possible is the only way to ensure the safe, efficient operation of your boiler. When you notice any of these warning signs, you must call BZ Dependable right away. Act fast and keep repair costs as low as possible. Let us help you heat your Tenafly home with confidence. Because of their simple, effective design, boilers don’t have the same amount of problems and need for repair that other home heating options do. Of course, no system is without potential for problems, and boilers are no exception. Before you jump ahead to looking for a replacement boiler, though, remember that there are many problems that are very common and easily repaired. When you experience a problem with your boiler call the Tenafly heating professionals at BZ Dependable Plumbing & Heating Inc. for the repair service you need. We’re always happy to help you get your boiler back up and running. Here are some of the most common boiler problems and repairs that we see. Lack of Heat or Hot Water: When it’s cold out the lack of heat is a serious problem. It is also one of the most common boiler issues that we encounter. There are a number of possible culprits, including broken air locks to low water levels. Most of the time the repair is simple, quick and affordable, so remember to call your heating service provider before jumping to any conclusions. Water Leaks: Finding water on the ground or surfaces around your boiler can be nerve wracking. More often than not, though, it is a relatively minor problem. A loose joint, pipe corrosion and many other factors may lead to water leaks, but they are usually easy to deal with for a professional boiler repair technician. Pilot Light Won’t Stay Lit: If your boiler system’s pilot light is going out it there are a few possible problems. The thermocouple could be broken, and is easily replaced. Sometimes the issue is as simple as dirt buildup on the pilot, and all that is needed is a bit of cleaning. 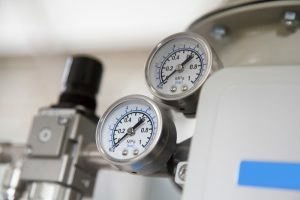 Whatever is causing your pilot to go out, a professional technician such as those at BZ Dependable should be able to diagnose and resolve the problem completely. Condensate Pipe Freezes: A system breakdown can be a major concern, but the cause is not always that serious. Most modern boilers have a condensation pipe, and because this pipe transports water it is possible for it to freeze up. Kettling: Kettling is common in homes where hard water is an issue. If lime scale builds up on your boiler’s heat exchanger steam bubbles may be produced, causing loud banging sound. The removal of the lime scale buildup can solve the problem. Be sure to have your boiler professionally maintained routinely to avoid the development of these problems. Tenafly boiler repair professionals, such as those at BZ Dependable Plumbing & Heating, will be able to get your boiler operating effectively and efficiently again.